If you are looking for information on the American Poolplayers Association franchise business opportunity, APA franchises or American Poolplayers Association franchising, then you have come to the right place. Vision - Our goal is to achieve One Million members by the year 2020 by continually attracting new franchisees and helping them succeed. Mission - Our growth strategy is simple: To create very satisfied and loyal League Operators, members, teams and host locations that recommend us to others. We Believe In - Above all else, APA believes in earning and maintaining trust with our franchisees and members through honesty, integrity, respect and fairness. We ask everyone in our network to adhere to our Vision and strive for personal and professional success. 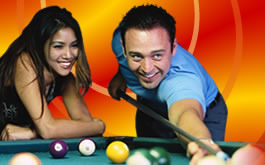 The APA hosts an 8-Ball and 9-Ball League system. The APA 8-Ball League and APA 9-Ball League are offered throughout the country and each year teams have the opportunity to advance to the APA National Team Championships. At the national level, the APA guarantees more than $1 million in national tournament prize money. This consists of the $500,000 APA 8-Ball National Team Championships, the $200,000 APA 8-Ball Classic, the $100,000 APA 9-Ball National Team Championship, the $100,000 APA 9-Ball Shootout, and the MiniMania tournaments, which paid nearly $220,000 during the 2004 National Team Championships. The APA also conducts the U.S. Amateur Championship, the pool world's most prestigious amateur tournament, which is the only competition open to APA members and nonmembers alike. The tournament began in 1994 and has grown more than 35 percent during the past year, as players across North America battle for one of the 128 spots in the tournament. From 1999 to the present, Entrepreneur Magazine rated the APA No. 1 in the category of Sports-Event Planning. Entrepreneur Magazine also honored the APA with a No. 53 ranking out of 500 franchising companies in 1998. 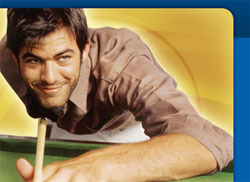 One of the keys to the success of the American Poolplayers Association is The Equalizer®, the unique handicapping and scoring system that makes it possible for players of different playing abilities -- especially novices and beginners -- to compete on an equal basis, much like they do in golf and bowling. The Equalizer® uses a formula that measures a player's ability. The result is a handicap of how many games a player must win to capture a match in 8-Ball or the number of points a player must earn to win a match in the 9-Ball format. Training and support is provided at your initial training seminar and on an ongoing basis. 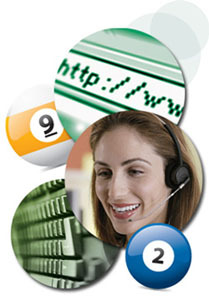 Our staff provides software and operational support. You'll be assigned a personal Representative at the National Office to help guide you in growing and administering your League. We've learned a lot in our 25+ years of experience. Nearly every challenge you might face has already been experienced by our League Operators. Our network of Franchisees are encouraged to interact frequently with each other to help overcome those challenges and to discuss best practices. We offer networking opportunities through our annual Convention, regional meetings, quarterly newsletter and a private web site just for Franchisees and APA staff. We're an organization of go-getters. At the National Office, we're always asking ourselves: "What can we do to help Franchisees develop new host locations, members and teams?" The marketing materials we provide are first-rate. We help you reach your customers - team members and the owners/managers of bars and pool halls - with posters, presentation materials, promotional items, and our national membership magazine, The American Poolplayer®. Are You a Good Fit for American Poolplayers Association? Enjoy meeting and interacting with a variety of individuals. Have a sense of urgency in meeting goals and a strong desire to succeed. Are able to work independently, and love building teams. Are willing to cold-call new host sites. Are confident in their social skills. Possess the ability to follow the rules, and enjoy creative problem solving that will achieve their goals. Are driven to keep their business moving at a fast pace.